Salesforce and its significance are incomplete without defining the Dashboards and Reports feature. Along with improved appearance of modern visualizations of data which does not have to be updated manually as that of spreadsheets, it could maximize the impact Salesforce can have within your company. Centralized access towards the latest data could be offered to everyone by making use of dashboards that could help improve the communication on your team. Dashboards feature also allows you to understand the trends in the data in a faster and seamless way with the help of charts which automatically gets updated. Thus potential problems could be avoided and success could be achieved. Salesforce Dashboards transform the information available within the source reports into one of several visual components. You could choose a table chart or can work with charts and statistics depending up on your requirements. Furthermore the entire dashboard could be customized and tailored according to the needs and requirements of the user. It also offers a feature that allows you to keep track of the schedule which helps you to manage the customer tasks. You will be able to get real-time statistics along with complete control of information right within your fingertips. Substantial amount of time could be saved by means of implementing this simple platform. Reports could be created quickly by making use of Salesforce Dashboards. Salesforce Dashboards could be also used as a tool for attracting more clients towards your business. Salesforce Dashboards has the ability to make the visual representation of the company’s performance look more appealing and it will become quite hard for prospective clients for ignoring such positive statistics. Here are the five best tips that are designed to harness the potential of Salesforce Dashboards to its maximum. It is very important in achieving success. For the key metrics that is going to be tracked within the dashboards, it is quite necessary that each and every member within your team should accept the key metrics that needs to be tracked. Which are the metrics that will help achieve success at each and every level of your organization? What are the ways in which the metrics could match up with the organizational goals of your company? Define the time period during which those metrics requires to be evaluated? For example, the metrics could be evaluated on a monthly or quarterly time periods. Of these, the most important first step that needs to be done includes the agreement on what needs to be measured. It is not necessary for you to rely on a specific type of charts by being on the same page. You could prefer even bar charts or line graphs as per your needs and requirements. There is no need to begin Dashboards from scratch irrespective of whether your organization is new to Salesforce. A variety of choices is available to download as free dashboards from the AppExchange and thus you can make use of these dashboards to match the data and preferences of your company. You would be able to save considerable time by means of customizing the existing dashboards. In addition to it, it also gives you a better insight about how creatively others have designed their dashboards and created reports by means of following some of the best practices. There should be atleast one main KPI Dashboard which is otherwise known as Key Performance Indicator for the company. 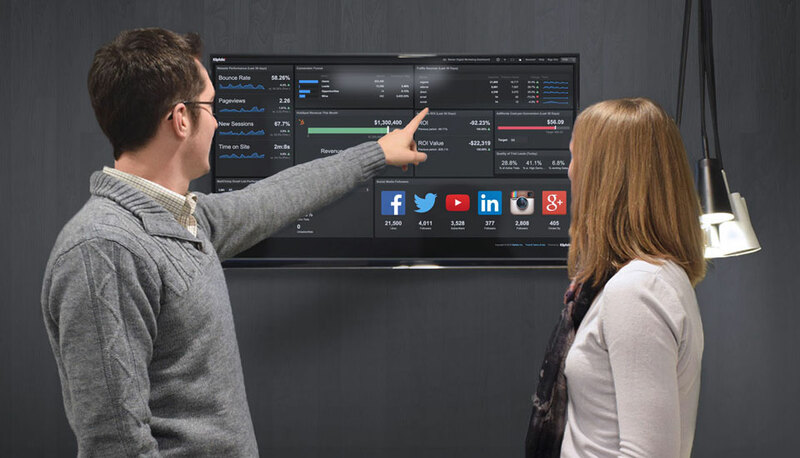 Such a main KPI dashboard would be able to consolidate the key metrics from across the companies in to a single view. A maximum of 19 KPIs in total is all that you might require even though Salesforce allows up to a maximum of 20 charts per dashboard. But it has to be taken note that the 10 KPIs should be able to accommodate everything above the fold and that too without any need to scroll down in to the web browser. Here are a few things that you will have to keep in mind while including KPI dashboard. The presence of a single main KPI or Executive Dashboard. Always place it at the highest level. The supporting data should be left for other dashboards. The dashboard should be simple as well as should be well designed so as to avoid any sort of information overload. Similarly a main KPI dashboard could be also included for each and every department or executive if you wish to choose it, however it is utmost necessary for you to ensure that the KPI dashboards should be of very less number and should be considered as the authoritative measure of performance by everyone working within your organization. Furthermore each functional area may be comprised of additional dashboards that are capable of displaying the detail behind different activities that is included within those KPI dashboards. However the additional dashboards are desirable to be made use of only by those who have been focusing on each of the particular area of work. Including additional data which might not have been present in the Salesforce is one of the ways in which you could enhance the potential and usage of Salesforce dashboards. Your dashboards will not be the single source especially if the Sales KPIs are present within the Salesforce and operational as well as business metrics are made available within the Reports that are not integrated in to the Salesforce. Some of the popular data sources to name among a few include product data usage, external marketing systems and finance data such as invoices. Google Analytics marketing data would be imported in to Salesforce dashboards using CloudAmp Analytics Dashboards. Hundreds of data connectors are offered to enterprise applications by making use of SnapLogic Integration Cloud. Simple connections are provided to more than 250 software apps by Zapier as a means to eliminate the presence of duplicate data entry. One of the ways in which additional data could be brought in to Salesforce is by means of manually importing the data periodically. But to make it effective, you will have to ensure the most current data is impaired through automated updating of the dashboards. Thus you will be able to make the Salesforce dashboards an authoritative source to understand how the company is performing. The dashboards can be sent via an email especially if you are making use of a Salesforce Enterprise Edition or above and it could be sent as part of scheduling the daily or weekly refresh of your dashboards. One of the major highlights of such email is that those HTML emails actually look almost similar to the dashboards within Salesforce since it would be comprised of all the graphics of all the charts which can be included right there within your email inbox. Thus you can access the source report in Salesforce in an enhanced way by simply clicking on those charts. You will have to schedule and set the dashboards which automatically have to be refreshed and then the dashboards will have to be distributed through email. One of the benefits of email is that it is considered as a better source of communication for the team as well as managers. You could stay on top of most of the KPIs by making the dashboard emails an integral part of their daily routines. Thus you could keep the team members updated always by sharing the information on a regular basis by emailing the dashboards. Similarly it can be of enhanced benefit for the Salesforce users who does not log in to the Salesforce frequently and for them emails could be a better choice as they would be able to access right from their smartphones, tablet computers or desktop computers from anywhere and at anytime. The dashboard emails will always help you to keep track of the metrics by clearly monitoring them as part of work that happens on a daily basis such as incoming leads as well as registrations. Thus dashboards could help put the data in front of the team members when it becomes the utmost requirements for them. Thus the above mentioned are some of the best ways in which the potential of Salesforce dashboards could be utilized. Therefore whether it is about serving multiple purposes or as a communication channel or a lead generation tool, Salesforce Dashboards is among the best choice for businesses. The numerous benefits make Salesforce Dashboard an ideal choice as a comprehensive management tool for your growing business. This article is presented by William Hills, he is a professional technical writer with an experience of more than 5 years. His has written a variety of contents in past and now writing for salesforce dashboard, salesforce consulting, IT and business consulting services, crm for non profits, and many more related topics. How to Create a Lead Machine Using Salesforce? Boost Your Productivity by Doing Nothing! Deal with Your Hyperactive Mind That Hates Focusing on Creative Work?